One of the most affordable countertop materials available on the market today, laminate is a popular choice among budget-conscious homeowners. 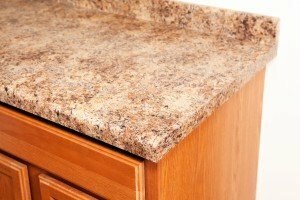 Not only are laminate countertops highly affordable, they’re also super easy to clean and maintain over the years. At Macadam Floor and Design, we offer a variety of countertop products to accommodate your budget and style preferences. Call us today at 503-246-9800 to claim your free counter samples. Affordability is often considered the number one benefit of laminate countertops. But that’s not the only advantage the material offers. Laminate countertops are available in an expansive array of colors and patterns to complement virtually any interior. Plus, laminate can be made to look like marble, rustic metal, butcher block, fabric and other materials. When compared with butcher block and marble counters, laminate is extremely low maintenance. That means you won’t have to polish them, re-oil them or perform other tedious maintenance tasks. Simply clean your countertops with a wet cloth every now and then, and continue enjoying your counters for years to come. Laminate countertops are often found in kitchens, but this material can also be used in bathrooms and offices thanks to its sheer versatility. At Macadam Floor and Design, we carry laminate countertops from some of the top brands, including Formica, Pionite and Wilsonart. No matter which brand you choose, you’ll have almost limitless design options for your kitchen or bathroom remodel. Select from solids, particulates, stones, wood grains, metals and other options that complement your existing or new cabinets. You’ll also have a choice of matte, gloss and textured finishes, as well as vibrant and neutral colors, to match your unique design style. 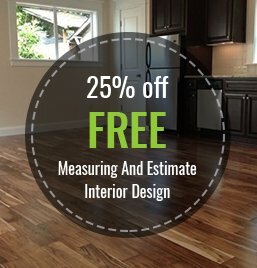 For over 30 years, Macadam Floor and Design has been providing professional design services to the Portland, Oregon community. To get started on your home remodeling project, visit our Design Center at 6655 SW Macadam Ave in Portland, OR to work one-on-one with our experienced designers. We’ll help you pick out laminate countertops that meet your aesthetic, durability and affordability requirements.